Old Testament - Happy New Year! Welcome to the beginning of our One Year Bible journey in 2019! 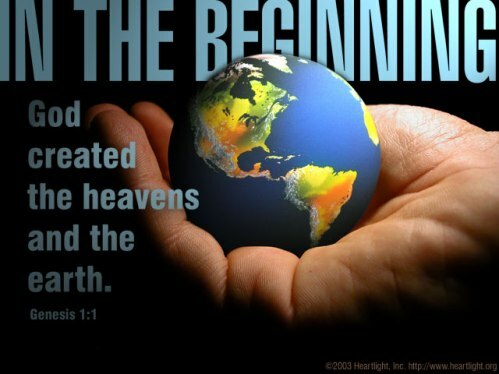 Today we begin with the book of Genesis! 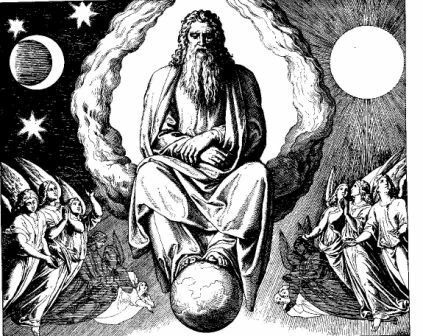 Content: The book of Genesis was written to explain how everything began; in fact, the very title Genesis means “origin” or “beginning”. It explains that God created the universe, how man was created and placed in a perfect environment, how sin began, and how God provided salvation for lost man. The beginning of human history is described, the beginning of arts and crafts, how human languages began, and where the various nations came from. The focus then shifts to the beginning of the Hebrew people with Abraham, followed by the histories of Isaac, Jacob and his sons, and the book ends with Joseph in Egypt. 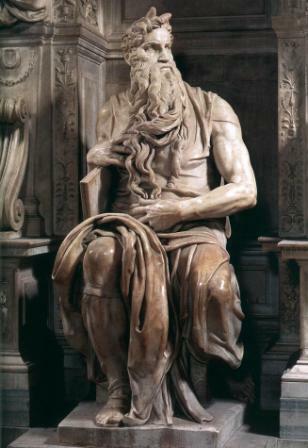 Moses is the author/compiler of the first five books of the Old Testament, also known as the Pentateuch, or the books of the Law. It is believed that these five books were written by Moses during Israel's 40 years in the desert after the exodus from Egypt - which was likely between 1446 B.C. and 1406 B.C. 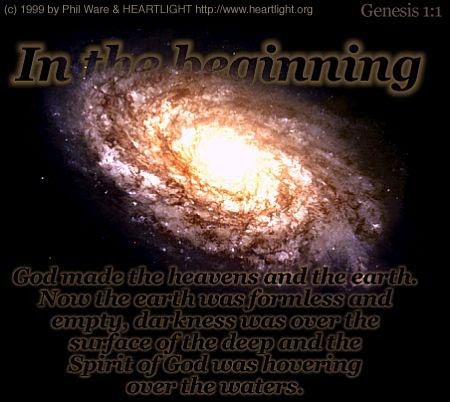 The book of Genesis is foundational to understanding the rest of the Bible. It is a book of relationships - between God and his creation; between God and humans; and between humans themselves. In Genesis, God pledges his love and faithfulness to humans through covenants. It is a narrative that continually demonstrates faith. Today we read this incredibly powerful verse in Genesis chapter 1 verse 27: "So God created people in his own image; God patterned them after himself; male and female he created them." Do you believe that you are made in the image of God? Is this a powerful thing to reflect upon? What might this mean for your life in this new year, knowing that you are made in the image of God? Does this give you a sense of possibility for your life? A sense that you are made for a great purpose in this life? 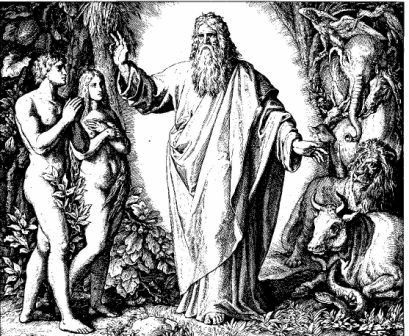 Bible.org's commentary on today's readings in Genesis chapters 1 and 2 titled "The Meaning of Man: His Duty and His Delight" is at this link. 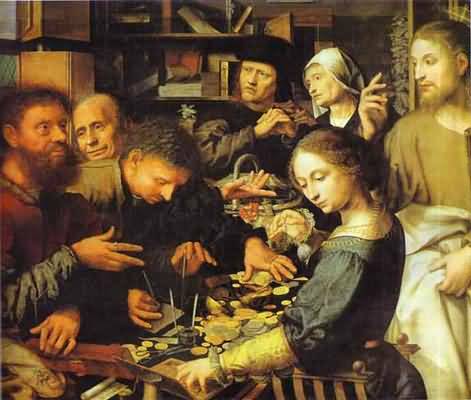 Content: Matthew was a tax collector, called by Jesus to follow him early in his public ministry; hence, he was an eyewitness of most of the events he describes. He begins with a detailed account of Jesus’ birth of the virgin Mary, his baptism, and temptation in the wilderness. Jesus came preaching the kingdom of God, entrance into which meant eternal life. 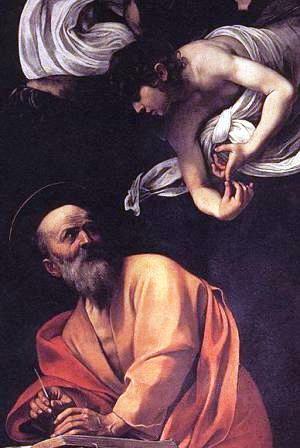 One entered by repentance and faith. 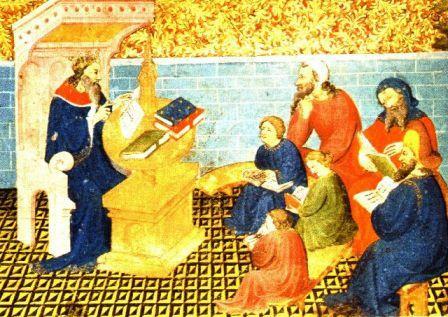 Matthew blocks the teaching of Jesus together into five discourses in which may be seen the ethics, the proclamation, the parables, the fellowship, and the consummation of the kingdom. 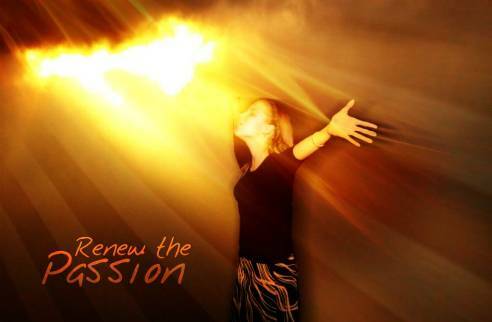 Jesus’ death and resurrection end the Gospel with the command to go into all the world with the good news (gospel) of Jesus Christ. Chapter 1 verse 23 is certainly a huge prophecy from the Old Testament prophet Isaiah being fulfilled through the birth of Jesus: "Look! The virgin will conceive a child! 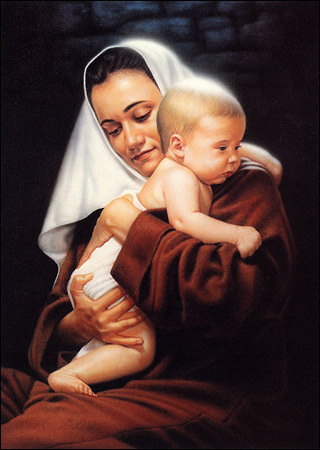 She will give birth to a son, and he will be called Immanuel (meaning, God is with us)." Jesus is God and came to literally be with us. To experience our human sufferings and temptations - and joys and triumphs. The importance of this birth of Immanuel cannot be overstated. God came to be with us in flesh and blood. Chapter 2 verse 6 is very powerful in that last year's One Year Bible crew recently read about the prophet Micah's prophesying of Jesus being born in Bethlehem: "O Bethlehem of Judah, you are not just a lowly village in Judah, for a ruler will come from you who will be the shepherd for my people Israel." Here again you can see Matthew writing for his Jewish audience - quoting an Old Testament prophet and also focusing in on the town of "Bethlehem of Judah" - the City of David. This was to demonstrate again that Jesus was from the lineage of King David. 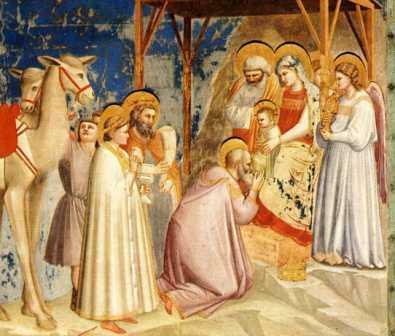 Bible.org's commentary on today's readings in Matthew titled "The Birth of Jesus" is at this link and "The Visit of the Wise Men" is at this link. 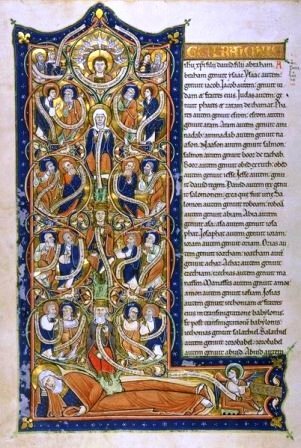 It is often said that in 65 of the books of the Bible God speaks to us, but in the Psalter, the book of Psalms, we have the opportunity to speak to God. And in all kinds of ways and with all kinds of emotions. The Psalms can help you learn to express in pray everything to God – what you are happy about and what is troubling you. The Psalms are religious poetry. The 150 Psalms are comprised of Laments, Confessions, Crys, Petitions, Praise, Reflection, Reports, History, Blessings, and Wisdom. The author of many of the Psalms was King David. The Psalms were compiled over centuries and reached this final form in approximately the third century B.C. The Psalms were prayed in the temple and have been prayed in churches for the past two thousand years. The Psalms were quoted by Jesus, including Psalm 22:1 when Jesus was on the cross: ""My God, my God, why have you forsaken me?"" 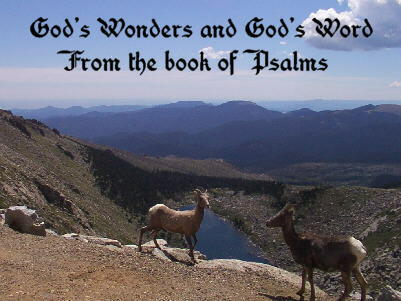 (see Matthew 27:46) It is thought that the book of Psalms is one of the two books of the Old Testament most frequently quotes in the New Testament – along with the book of Isaiah. See more commentary of the Psalms online at bible.org at this link. Martin Luther said this about the book of Psalms: "The Psalter is the favorite book of all the saints. Each person, whatever his circumstances may be, finds in the book psalms and words which are appropriate to the circumstances in which he finds himself and meet his needs as adequately as if they were composed exclusively for his sake, and in such a way that he himself could not improve on them nor find or desire any better psalms or words." Today we read this reflection on the godly in Psalm 1 verse 2: "But they delight in doing everything the LORD wants; day and night they think about his law." How well does this verse ring true with your life today? Do you delight in being obedient to God? Do you think about God's Word, the Bible, day and night? Should you? In this new year, will you? 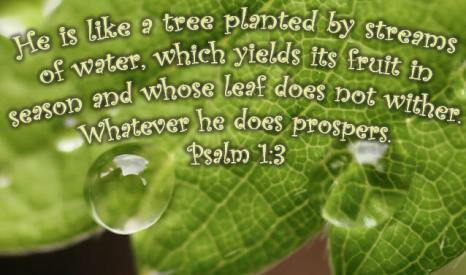 Bible.org's commentary on Psalm 1 is at this link. Today we read in Proverbs chapter 1 verses 2 through 4 a great overview of why we should read and study the Proverbs: "The purpose of these proverbs is to teach people wisdom and discipline, and to help them understand wise sayings. Through these proverbs, people will receive instruction in discipline, good conduct, and doing what is right, just, and fair. These proverbs will make the simpleminded clever. They will give knowledge and purpose to young people." Do you want wisdom? Do you want discipline in your life? Do you want to do what is right, just and fair? Do you want purpose for your life? Do you believe this journey through the Bible this year will move you forward in these areas? Will you cling to the wisdom of the Proverbs this year? Do you personally know our Great God? Click here to meet Him! 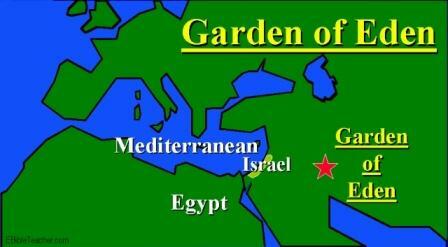 Prayer Point: Based on Genesis 1:27 above, will you pray today for your family, co-workers/students, and others in your community that you will see the image of God in each of them them? Also, will you pray for those you know who are made in the image of God, and yet are not in a saving personal relationship with Jesus? Will you pray that they will come to know Jesus as their Lord and Savior this year? Comments from You and Question of the Day: As today is our first day together on the One Year Bible journey in 2019, I thought I'd post up a One Year Bible "roll-call." This is an opportunity for each of us to click on the "Comments" link below and let everyone know a few things about ourselves, as we'll be journeying through the Word together over the coming year. So here's the roll-call questions: 1. Have you read the entire Bible before? 2. What are you looking forward to about reading the entire Bible in 2019? 3. What's your favorite book or verse in the Bible? Thanks for participating in the roll-call! :) Also, what verses or insights stand out to you in today's readings? Please post up by clicking on the "Comments" link below! From a veteran Read through the Bible Reader, may I encourage you to stay focused and read even when it seems like you are chewing wood. I began reading through the Word in 1987 and some of the “What in the world does this mean?” have just begun to be answered. Each and every time I go through I get a deeper understanding of the things I grasped at first and at each succeeding reading though and an a simple understanding of things I just had no clue about. Genesis is the Book of Beginnings so let us come to this book leaving behind our preconceived understandings and ideas, our denominational glasses suspending our disbelief and unbelief believing that God’s Word will explain itself to us in the daylight of His Word. And whom will he make to understand the message? Those just drawn from the breasts? In the Beginning is our chance to study God’s Principals and Patterns so that we can apply those patterns and principals to our lives. Roll call. Yes, I have read most of the Bible several times. 2. I look forward to continuity reaffirmation and s gr strength in 2019. 3. Be still and know that I am God. Ps 46.10. Like Ramona said, reading through the Bible even if a pro or new to the scene, God will give you insight into new territory you didn't know u didn't know. He opens blinded eyes and makes even the greatest skeptic a believer. Peace and blessings this New Year. Whew 2019, we made it!! Each year that I’ve read the Bible God has revealed to me something different about myself and, more importantly, about him. I haven't read the entire Bible before, but have attempted several Bible in a Year reading/studying programs over the years. I am lookinh forward to having a bettet understanding of God's Word from this blog. My favorite Bible verse is Jeremiah 29:11 For I know the plans I have for you,” declares the Lord, “plans to prosper you and not to harm you, plans to give you hope and a future. This is my seventh straight year reading the Bible in one year and it has been such a blessing reading the Bible and exploring the many priceless journeys reading each of the books. I look forward with excitement continuing this journey in 2019. Yes, I have read the Bible through on my own 6 or seven times. The Sunday School Class I am a part of has chosen to read the Bible together this year. Roll Call: I have read the Bible at least 10 times - I have since kept a record because I try to read a new translation each year - this year will be the English Standard Version (ESV) because my son and his girlfriend gave me this Bible in an illuminated version - it's beautiful. My life verse is John 14:6 - "Jesus saith unto him, I am the way, the truth, and the life. No one comes to the Father but by me." Jesus is the only way to heaven. My goal this year to to understand and apply God's Word more fully in my life. For all the newbies - this Bible Reading Plan does work when others do not - some days may be boring to you. God's Word is complete with no errors. I haven't been able to post in this Blog at all - hope it will work this time. Grace & peace to you Ramona as I enjoy your insights into God's Word. I pray for everybody including myself to get to know more and have a personal relationship with our Father .the Lord Jesus Christ and the Holy Spirit.. I fe el so blessed to read the Bible again. After two very difficult years feeling drained and depressed, I came back to the Father like the prodigal son. I have read the Bible since my youth, and I know this is going to be a great year 2019. Blessings to all! I'm on holiday and my internet not so hot.